The Christmas season means that Sweet Jumbles is spending most of our time selling our marshmallows. Therefore, it’s really not until the last-minute that we’re able to enjoy any seasonal baking or Christmas cookie decorating. The sweetness of the season is so good, but sometimes a healthier snack is in order. This year we tried Baked Apple Chips. They were delicious and extremely easy. These are great to keep on hand for when you get the munchies – they’ll keep you from always reaching for the cookies! 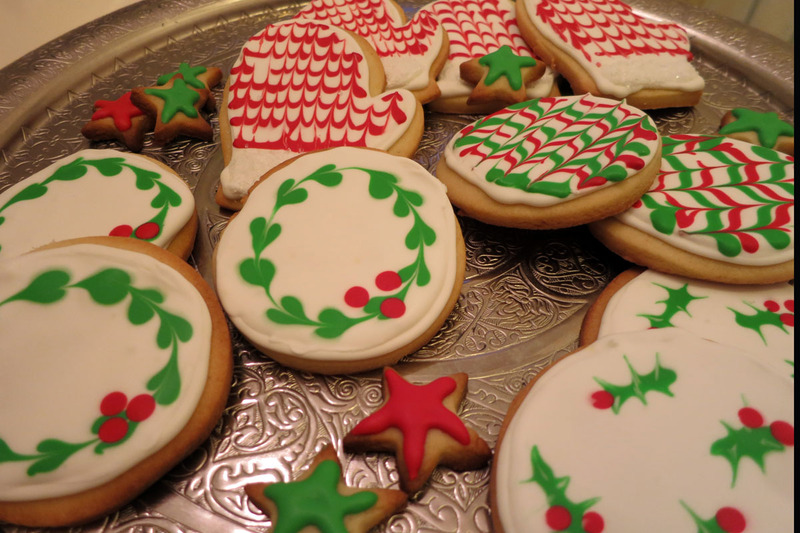 Or, set them out on the food table at your holiday party to provide an alternative to all of the sweets! Making Baked Apple Chips barely requires a recipe, but here’s a summary. Preheat oven to 150-200 degrees. Core & slice apples thin. Use a mandoline if you have one. If not, just do your best. Place on a cookie sheet in a single layer, sprinkle with cinnamon sugar, if desired. After an hour, check on apples, flip them over to ensure they aren’t sticking to the pan. Check repeatedly every 30 minutes or so. Ours took about 3 hours. They are done when they are very leathery like a dried apple – after cooling they will become crisp. You want to get as much moisture out as possible without burning them. 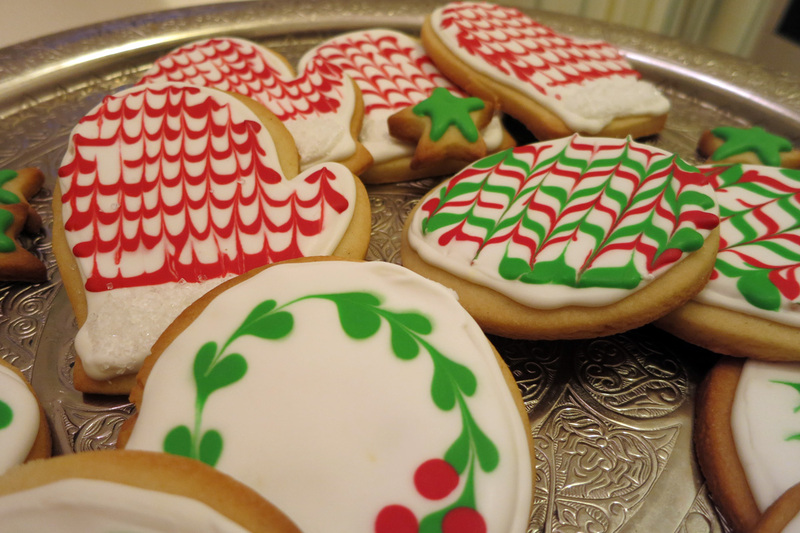 We also decorated some Christmas cookies yesterday! Take a look! Happy Holidays to all of our readers, and best wishes for 2015! This entry was posted in Baking Jumbles and tagged apples, chips, christmas, cinnamon, cookies. Bookmark the permalink.